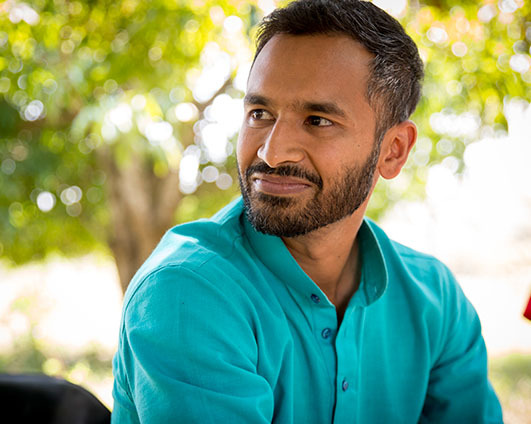 Vivek Maru is the Founder and CEO of Namati, an organization dedicated to building an evidence-based movement for legal empowerment around the world through grassroots innovation, research and advocacy, and convening of the Global Legal Empowerment Network. Prior to Namati, Maru served as senior counsel in the Justice Reform Group of the World Bank. His work focused on rule of law reform and governance, primarily in West Africa and South Asia. From 2003 to 2007, Maru co-founded and co-directed the Sierra Leonean organization Timap for Justice, which has been recognized by the International Crisis Group, Transparency International, and President Jimmy Carter as a pioneering model for delivering justice. Maru was named an Ashoka Fellow in 2014 and a “legal rebel” by the American Bar Association in 2015. In 2016, Maru, Namati, and the Global Legal Empowerment Network received the Skoll Award for Social Entrepreneurship. He received his J.D. from Yale University and A.B. from Harvard College.